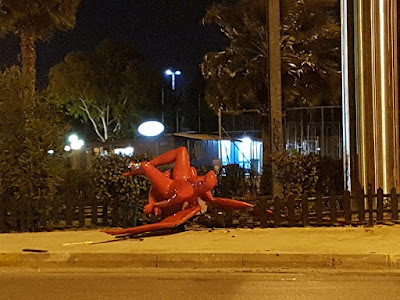 Late on Wednesday night, January 17, a group of 10-15 hooded persons tied it to the back of a truck and drove away, pulling it down, the Mayor of Palaio Faliro Dionysis Hatzidakis told Real FM. “So, if we don’t like something we destroy it ... for political purposes?,” Hatzidakis said, adding that he suspected the attackers were far-right. He said they threatened to hurt an eye-witness, a man working in a kiosk, if he alerted authorities. 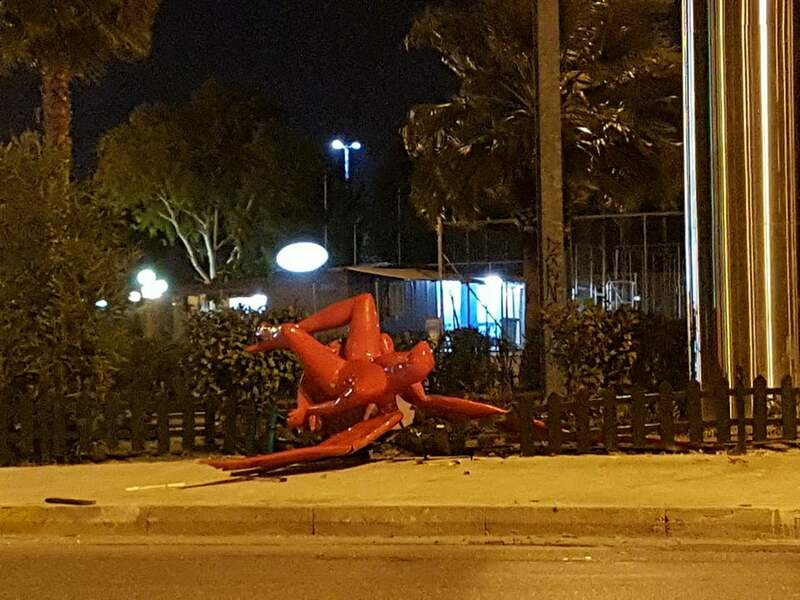 If the sculpture can be repaired it will be reinstalled, a spokesman for the mayor told Reuters. The sculpture was created by well-known Greek artist Kostis Georgiou who has exhibited both at home and in other countries, and whose signature sculptures involve red figures. He told Enikos.gr that Phylax was transferred to a safe place and that he hopes “the evil shall not prevail”. 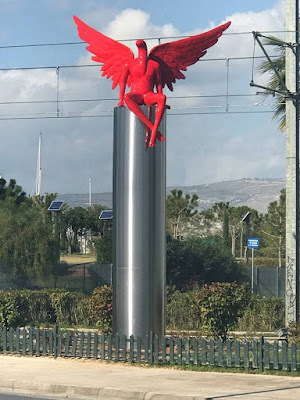 People on social media snatched the opportunity to make fun of the fall of the much-debated statue which divided not only the Palaio Faliro community but the whole of Attica. Comments abounded about “the hand of God” or “divine intervention” which demolished the “evil idol”.